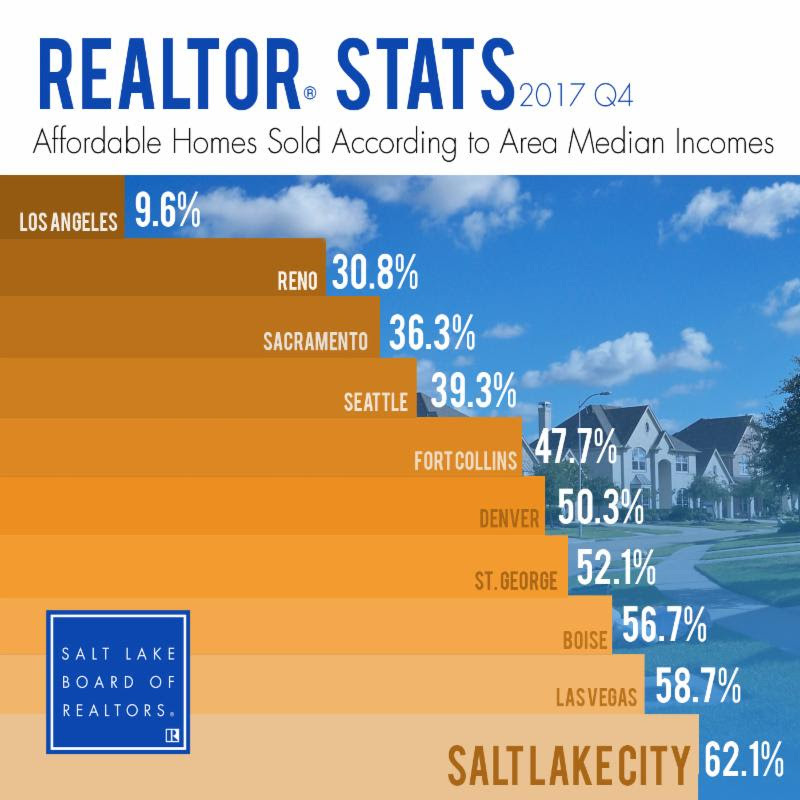 According to the National Association of Home Builders, 62.1 percent of all new and existing homes sold in the fourth quarter of 2017 in the Salt Lake metropolitan area were affordable to families earning the area's median income of $75,400. Salt Lake had a greater affordability index than neighboring cities like Boise, Denver, Fort Collins, Las Vegas, and Sacramento. Nationally, 59.6 percent of homes sold in last year's fourth quarter were affordable to a family earning the U.S. median income of $68,000. ©Salt Lake Board of Realtors. February 26, 2018.